Speaking today at the New York Auto Show, Adrian Hallmark, Global Brand Director of Jaguar confirmed the pussycat brand plans to build a car based on the C-X16 Concept and called the F-TYPE. Better news? It will be unveiled in production form later this year — well, without the camouflage it's got above. The F-Type will join Jaguar's existing range of cars — the XF sedan and Sportbrake, XJ sedan and XK coupe/convertible. It'll also be the first two-seat Jaguar in two generations. 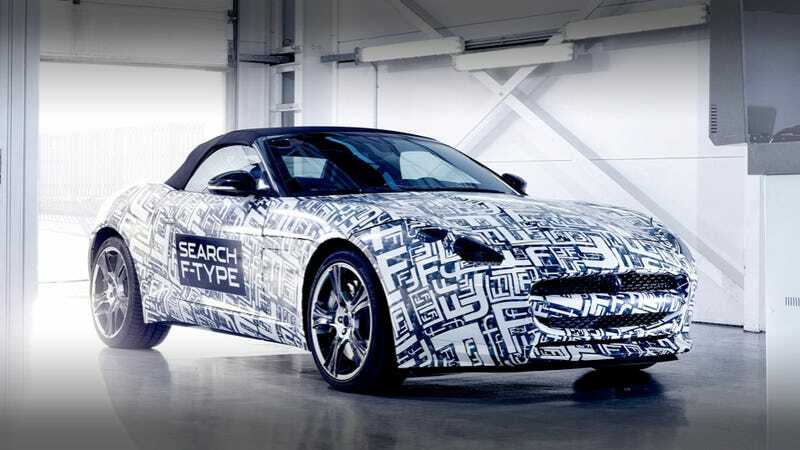 Although full F-Type technical and range details will be announced later in 2012, we know it'll have a top speed of 180 MPH and hit 60 mph in less than five seconds. Rather than have spy photographers waste time trying to chase down prototypes of the car, Jaguar again released their own camouflaged spy photos. This, of course, will actually do nothing to discourage spy photographers from taking photos of the car. It will go on sale in mid 2013.